"you're so small." as if to prove his point, louis squeezed harry tightly in his arms, and harry just scrunched up a little bit, snuggling his head impossibly farther into louis' chest. "my pretty paper doll." and when louis squeezed him again, placing a shaky, yet warm kiss on harry's cold forehead, harry felt his heart feel that way again, he felt love. a soft flutter, that even the most self control in the world couldn't stop. he loved louis. he loved him even though he didn't want to, he really didn't. 1ST PLACE IN THE HOLIDAY 2014 BROMANCE AWARDS FOR FAMOUS LARRY STORIES. Louis was lonely so he looked up random numbers to rant to about his crush Harry Styles. Little did he know that he was texting Harry Styles himself. In which Harry dresses and acts like a girl just to make Louis like him. 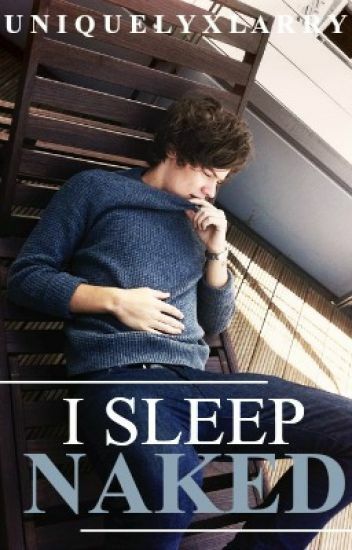 Or, in which Harry wants to take Eleanor's place and be Louis' boyfriend. Harry Styles, a normal 21 year old who cleans pools for a living. Louis Tomlinson, a 23 year old Olympic swimmer who is in training. what will happen when Harry meets the blue eyed beauty who trains at his work 14 hours a week? Louis had always wanted to travel, so when he finished school, he and his best friend decided to take a backpacking summer trip through Europe. But when it was over, Louis realized he never wanted to stop, so instead of going back to attend University like he and his mum had planned, he decided he wanted to travel the world for as long as he could, so he did. Six years after his journey began, there were still thousands of places he wanted to visit, but he found myself needing to put his dream on hold for a little while... or so he thought. This is a Mpreg story in which male pregnancy is as common as female pregnancy. If you don't like this kind of story don't read it. You've been warned! Basically Louis is a young kitten hybrid who was separated by his siblings and now he was the only one of them left to sit in a box in front of a pet store until someone decided to want to keep him. Harry is a rich twenty three year old who was walking down the street when he saw a box with a sign that said 'PLEASE TAKE' leaning against it...and that's exactly what he did. CREDIT TO @inhaled1d FOR THE BEAUTIFUL COVER SERIOUSLY THANK YOU SO MUCH LOVE YOU! Harry Styles has the perfect life. He's a part of international superstar band One Direction, and he has four amazing best friends: Niall, Liam, Zayn, and Louis. Louis Tomlinson is Harry's closest friend, nothing more, nothing less. (Or at least that's what Harry has always believed.) Until one fateful meeting with their management that causes chaos and heartbreak. One thing is for sure: everything happens for a reason.